Alongside the likes of The National and Arcade Fire, Indie Rock group The Walkmen have proven to be one of the most consistent bands of the new millennium. After breaking through and grabbing plenty of attention with their sophomore effort Bows + Arrows, the New York/Philadelphia hybrid have built up quite the following of fans and critics alike. Album number seven, the aptly named Heaven, keeps the band’s winning streak firmly in tact. It opens with the graceful yet powerful “We Can’t Beat”, which delivers frontman Hamilton Leithauser’s ever-distinct vocals mingled with tender fingerpicking. This is the first of a few instances in which The Walkmen covey a more gentile folk sound — the other stand out moment in this particular style is the beautiful and breezy “Southern Heart”. This more laid back approach makes for a lovely change of pace, but it also serves as a great counterpart to the more upbeat indie rock sound they execute so well. I must admit, in places I did miss some of the extra instrumentation Lisbon, their previous release, offered. When each song is crafted with care and delivered with such finesse, though, elements such as that are much less of a problem. Heaven really is the perfect representation of a band that has mastered their craft and developed great chemistry along the way. The composition is crisp and confident, Leithausers vocal presence is as emotive and involving (as always) and lyrically this record maintains the quality of the group’s previous work. In short, it’s vintage Walkmen, which itself is quite an achievement to claim. 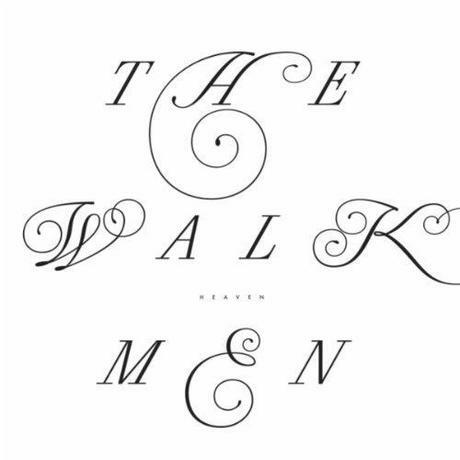 Granted, others may not agree — they may see this record as just another extension to what The Walkmen have been doing for quite a while now (and to some extent it is). But when the status quo is creating solid, sharp and consistently great music within their genre, surely you wouldn’t want or expect to them change course.